Tilly has never really been a book person like the older children but when we went to the Museum Of Childhood in Bethnal Green, London on one Autumnal afternoon we were lucky to meet Nick Sharratt and Jacqueline Wilson. 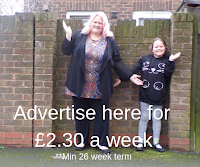 Now Tilly is a very privileged child and does get to do lots of things that other children don't, she is extremely lucky, and I am lucky to be able to do things like this with her. Jacqueline Wilson played a big part of my girls life as they grew up as they loved to read her books, and Tracy Beaker on our TV, became a daily ritual! 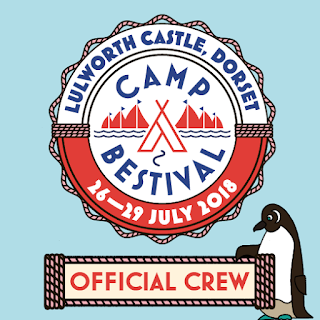 Most little girls have grown up reading the books and being drawn into the worlds of Queenie, Daydreams and Diaries and for the younger ones there is The Monster Story-Teller and The dinosaurs packed lunch. We were lucky to hear her reading from her new book Opal Plumstead. 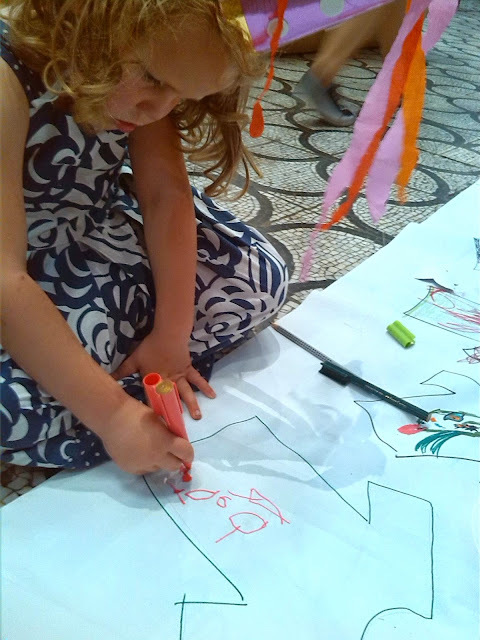 She also showed us how to do some basic drawings to go with her brilliant stories. This was Tillys first introduction to Jacqueline Wilson and i know have had to get books to be read to her - but I am sure the girls will enjoy reading them to her. 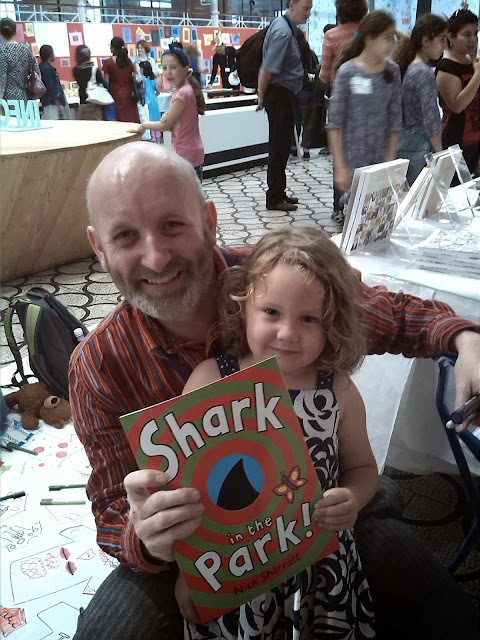 Then we had time to meet Nick Sharratt, The author of books like Shark in The Park, Mrs Pirate Ketchup on your cornflakes. Nick took time out to chat with Tilly and pose for photos. He even signed a programme and some postcards for her school reception class. She bought a book and Nick was really happy to sign it for her. Tilly was amazed that she had met the person who had written one of her favourite childhood books. 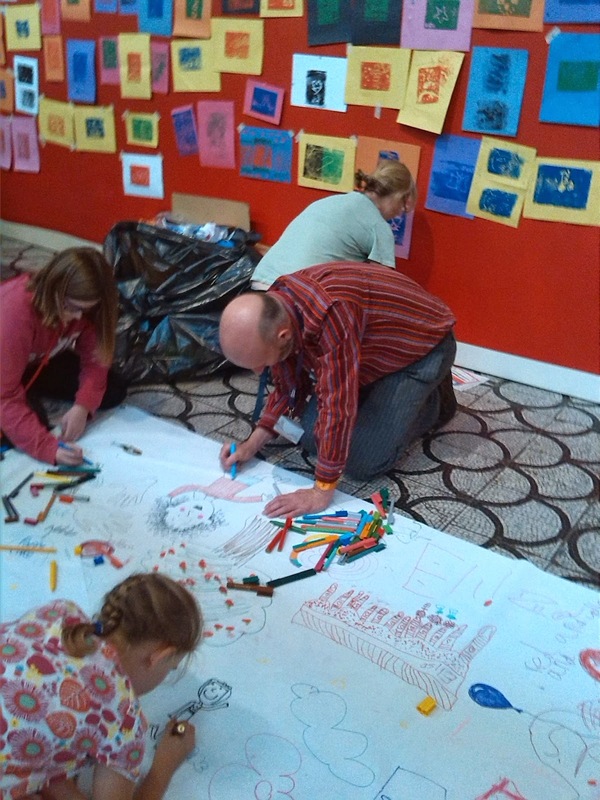 There was even time to sit and do some drawing on the floor as part of The Big Draw 2014. I think this day out was a big success with her.